This notice is to all Pickens County veterans honorably discharged from the armed forces of the United States of America that an advisory election is scheduled to be held on Saturday, May 11, 2013 for the selection of a Pickens County Veteran’s Affairs Officer. The Pickens County Veterans Affairs Officer serves as the department head of the Pickens County Veterans Affairs Office. The position is part-time. Citizens desiring to be candidates in this advisory election may file with the Pickens County Registration and Elections Commission at their office inside the Pickens County Administration Facility located at 222 McDaniel Ave Suite B-9, Pickens during normal working hours, 8:30 am – 5:00 pm Monday thru Friday, beginning on Monday, March 25 through Friday, April 5, 2013. This is a nonpartisan election and no party affiliation will be placed on the ballot. There will be a filing fee of Two Hundred Eighteen Dollars and Ninety-two Cents ($218.92) payable to the Pickens County Treasurer to cover the cost of the election. Citizens filing as a candidate must present proof of being a veteran with honorable separation (DD214 or Honorable Discharge papers) and proof of residency in Pickens County. If only one candidate files, no advisory election will be held and the filing fee will be refunded. You may contact the Pickens County Registration and Elections Commission by sending an email to [email protected] or calling 864-898-5948 for more information. A list of candidates that have filed so far can be found HERE. Unlike other elections, voters have not been pre-assigned to any one particular voting location. Voters may go to any one of the above locations to cast their ballot. 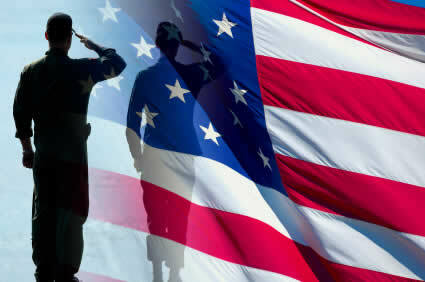 Voting is restricted to those Pickens County veterans honorably discharged from the armed forces of the United States. Dependents of veterans are not entitled to vote in this election. or any other document which shows honorable service or general discharge under honorable conditions. a current utility bill – the following are considered utility bills: electricity/power, cable, satellite, natural gas, internet, and telephone bills. If you do not currently have one of the Photo IDs above, you can make your voting experience as fast and easy as possible by getting one free of charge. Get a voter registration card with a photo from the Pickens County Registration & Elections Commission by simply providing your date of birth and the last four digits of your Social Security Number (if already registered to vote), or by asking our office staff for one when registering. You can also get a DMV ID card at a local DMV office free of charge. Check with DMV or scdmvonline.com for required documents. If you do NOT have Photo ID and do NOT have a reasonable impediment to obtaining one, or you simply forgot to bring it with you to the polls, you may still vote a paper provisional ballot. However, for your vote to be counted, you must provide one of the Photo IDs to the Pickens County Registration & Elections Commission prior to certification of the election at 9:00am on Tuesday, May 14, 2013. Voters who are blind, physically handicapped, or unable to read or write are entitled to assistance in casting their ballot. This assistance may be given by anyone the voter chooses except his employer, an agent of his employer, or an officer or agent of his union. The Managers must be notified if assistance is needed. Voters who are unable to enter their polling place due to physical handicap or age may vote in the vehicle in which they drove, or were driven, to the polls. When notified, the Managers will help voters using this curbside voting provision. Veterans who cannot vote in person may be eligible to vote by absentee ballot. Persons wishing more information concerning absentee voting should contact the Pickens County Registration & Elections Commission at their office inside the Pickens County Administration Facility located at 222 McDaniel Ave Suite B-9 Pickens, SC at 898-5948 or send an email to [email protected]. At 9:00 a.m. on Election Day, the Pickens County Registration & Elections Commission will begin its examination of the absentee ballot return envelopes at their office in the County Administrative Facility. A hearing on ballots challenged, if any, will be heard by the Pickens County Registration & Election Commission at 9:00am on Tuesday, May 14, 2013 at their office inside the Pickens County Administration Facility located at 222 McDaniel Ave Suite B-9, Pickens, SC. You may also contact the Registration and Elections Office (inside the Pickens County Administration Facility 222 McDaniel Ave Suite B-9, Pickens) by calling 898-5948 or 864-898-5949 for additional information. Q. Will a candidate’s party affiliation be listed on the ballot? Q. Will the incumbent office holder receive any recognition on the ballot distinguishing them from the other candidates? Q. In what order will the candidate names appear on the ballot? A. Alphabetical order by last name of the candidates. Q. Will a candidate’s military rank or professional/social status be listed on the ballot? Q. I want to volunteer to serve as a poll manager for this election, who do I need to contact? A. You may send an email to [email protected] or call April Bagwell at 898-5948.